I looked over to see when I last posted and couldn’t believe it was back in March! In truth, I haven’t done much sewing lately. I just haven’t had the energy or the desire to do anything. I’ve started things and then put them aside. I’ve still been buying fabric and pattern magazines, silently cursing my lack of economy when I should be using what I’ve got and not buying more. But I’m a sucker for beautiful fabrics and the magazines, well I buy them to inspire me and then don’t get round to doing anything! 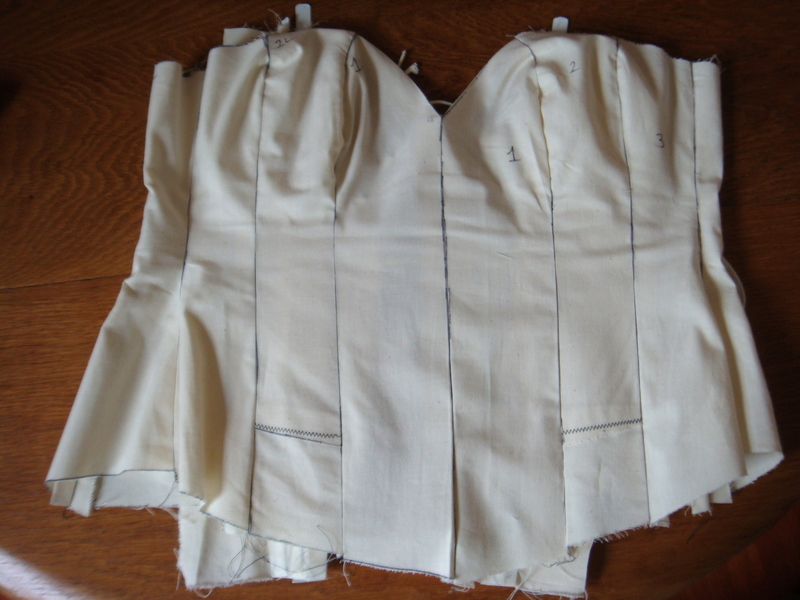 I’ve learnt basic corsetry pattern cutting and developed this pattern/toile for myself. I am really chuffed with the result and cannot wait to get started on making it up. I like that leopard swimsuit! 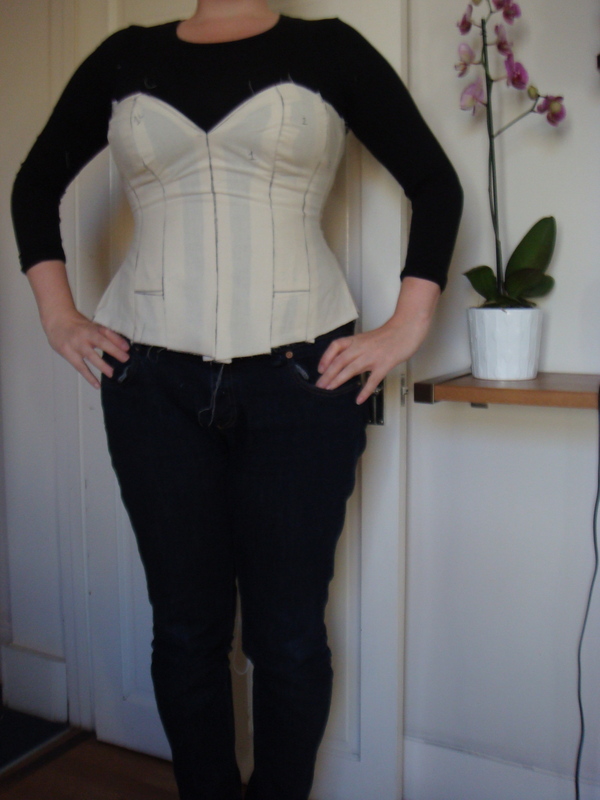 And corsetry is something I’ve always wanted to get my little fingers into for years and years.